Yang Teramat Mulia Paduka Seri Pengiran Anak Puteri Hajah Masna binti Al-Marhum Sultan Haji Omar Ali Saifuddin Sa'adul Khairi Waddien (full title in Malay) or simply in English, Her Royal Highness Princess Masna is the sister of His Majesty Sultan Haji Hassanal Bolkiah Muizzaddin Waddaulah. 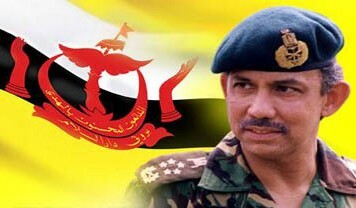 She was born in 1948 and is married to Yang Amat Mulia Pengiran Lela Sahibun Najabah Pengiran Haji Abdul Aziz bin Pengiran Jaya Negara Pengiran Haja Abu Bakar, the Principal of Royal Customs and Protocol. 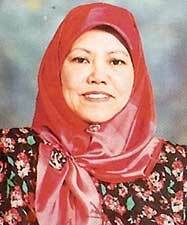 She graduated from Universiti Brunei Darussalam with a first degree and a Masters. In 1995, she was appointed as the Ambassador-at-Large at the Ministry of Foreign Affairs where she led a number of delegations abroad both as Acting Minister of Foreign Affairs as well as Ambassador-at-large. She is also active in other areas including being the Patron for the Girl Guides Association as well as being Commander of the Women's Police Corps.